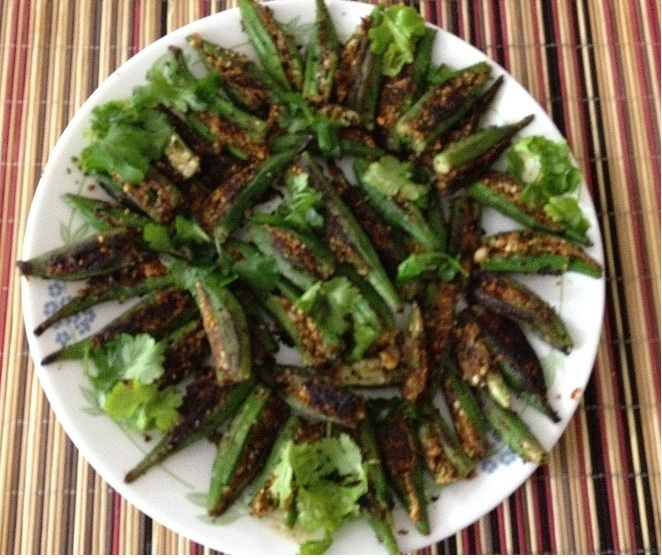 Do try this recipe , its very simple and easy to cook .Read more .. Vegetable Pulao(In Urdu is pronounced pulao) or Pilaf(English term pilaf is borrowed directly from Turkish) is a rice dish mixed with vegetables cooked with spices adds and aromatic flavor to this recipe.Vegetables like carrots, capsicum and French beans that are added in Pulao are very healthy and nutritious to eat. It is so yummy and colourful that no one won’t resist a plate of this mouthwatering food and its also one of the kids favorite rice.Read more..
Raita is a condiment from the Indian subcontinent, mostly an integral part of North Indian cuisine. In western cuisine raita is mostly called as a side dish or dip, or a cooked salad. Boondi is a Rajasthani snack food made from fried chickpea flour. Boondi dipped in curd is know as boondi raita which is a simple and easy dish served with paratha or pulao. Baigan known as Vangi in marathi or Eggplant in english . Masala fried baigan is a very common dish all over India.